While we haven't seen iron-clad proof of an October 21 (read: tomorrow) launch date, all signs do point to something imminent. And this next item is due to make all of you Storm 2 chasers positively giddy: yes, Verizon has posted the definitive Flash demo for the handset. So hit the read link to 'ooh' and 'ahh' your way through 360 degrees of spine-tingling render -- just try not to get dizzy. 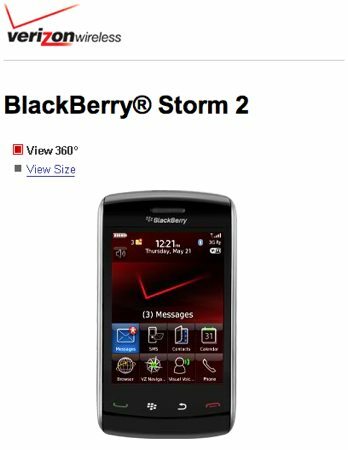 BlackBerry Storm 2 appears on Verizon pages originally appeared on Engadget Mobile on Tue, 20 Oct 2009 10:51:00 EST. Please see our terms for use of feeds.